Dr. David Down is an archaeologist who excavates regularly in Israel, working with the Israel Antiquities Authority. He has been involved in excavations at nine different sites. David is editor/publisher of the journal Diggings and the magazine Archaeological Diggings in which there are frequent articles on the pyramids and the revised chronology. 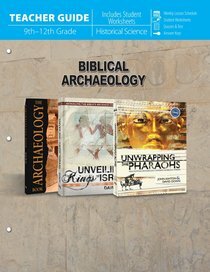 He is also the co-author of Unwrapping the Pharoahs and a frequent conference speaker on archeology and Creation Science.